A museum located in the Persepolis compound in Iran’s Fars province is home to dozens of ancient relics unearthed in the area, including a 2,600-year-old instrument. The pieces on display in the Persepolis Museum have been unearthed during various excavations over years. 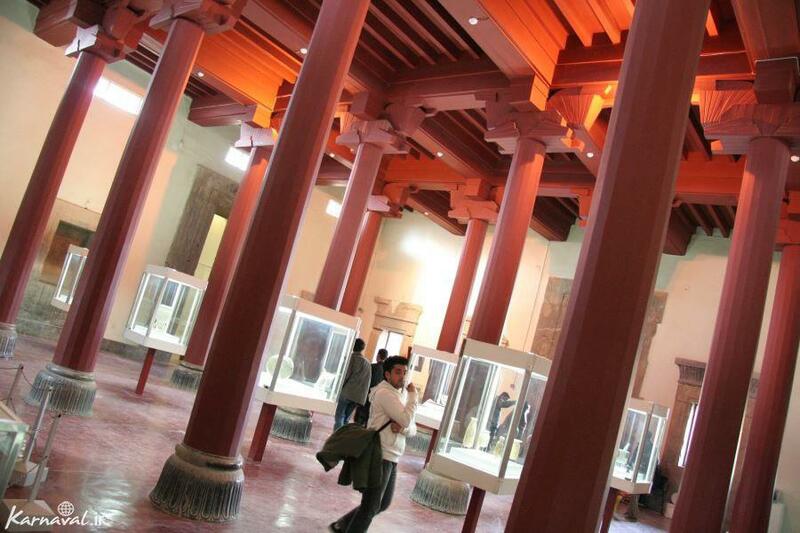 Some of the pieces displayed in the museum include eye-coloured beads, clay tablets, spearheads, arrows, parts of ancient statues, fire pots, and azure bricks. Achaemenid or Bronze Karna is one of the most interesting antiques in the Museum. 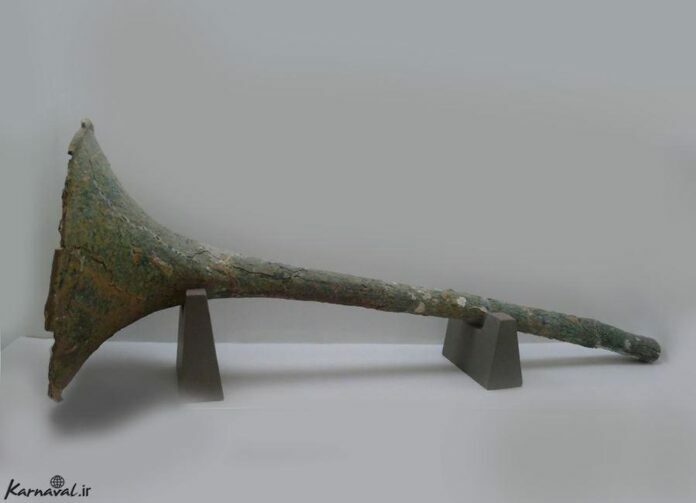 Karna is a wind instrument which dates back to about 2,500 years ago. According to historical documents as well as books by great historians like Herodotus, Karna was used by the military men under Achaemenid Empire. The army used the wind instrument to declare war and festivities. The Achaemenid Karna is made of bronze, an alloy of copper and tin. It was unearthed back in 1957 in the Persepolis compound, according to a Farsi report by Carnaval website. The length of the ancient wind instrument is 120 centimetres. The diameters of its outside and inside bell are respectively 48cm and 5cm.